I want to tell you a unique story about the Jewish People and how we returned to Eretz Yisrael — the Land of Israel. Since the first century the Jewish People kept alive the idea of someday returning to their ancient homeland in order to live freely as Jews. After 1,800 years of galut (exile) in the historical blink of an eye, we suddenly found ourselves once again a sovereign people in our ancient homeland and with a modern nation state of our own making, and in our own image. But the movement to make that happen, called Zionism, began earlier, in the latter half of the 1800s. This season we’re going to explore the beginnings of modern day Israel, the Zionist Movement, and the key factors, people, choices, and events that led us to where we are today: with a Jewish State the size of New Jersey with 8.5 million people, that dominates in economics and science and diversity and headlines and, yes, global conflict. 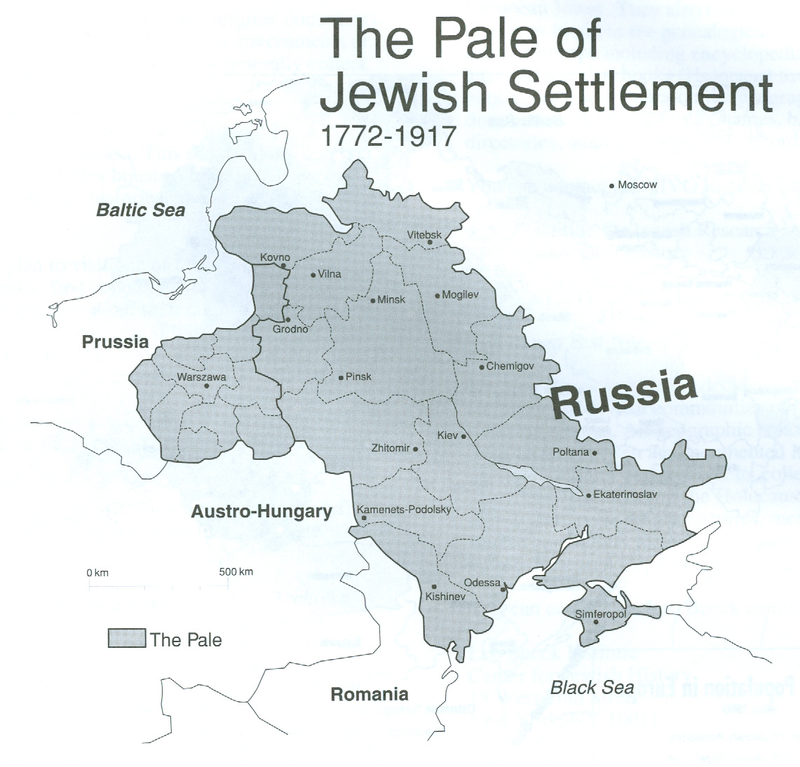 In the 1800s, the Jews of Russia were kept in abject poverty and oppression in an area known as the Pale of Settlement, a strip of land running north-to-south from the Baltic Sea to the Black Sea. On March 13, 1881, in Saint Petersburg, Russia, Czar Alexander II, a reformist czar who made small but welcome improvements to Jewish life, was assassinated by Russian revolutionaries. His heir, son Alexander III, was a notorious anti-Semite who reversed the gains made under his father to repress the Jews even further through a series of legislation known as the May Laws. These events form the roots of the Zionist Movement, which is the national movement of the Jewish People to re-establish a Jewish homeland in the Land of Israel. While many Jews left Russia during this era, those that stayed began to develop social action around the two thousand year old spiritual notion of the Jews returning to Israel; they began to see this ideal not as a fantasy, but as a tangible goal necessary for the survival of the Jewish People. Beginning in the 1870s, even before the assassination of the czar, small organizations began to form in the small villages inside the Pale of Settlement. They were known as Chovevei Zion — Lovers of Zion. They were not political clubs but rather social and cultural, organized around the ideas of Zionism. So they did things like teach Hebrew and Jewish history, and raise small funds to support fledgling agricultural settlements in Palestine. A leader for the Lovers of Zion soon emerged named Leon Pinsker. In 1882 he wrote a book, Auto Emancipation, in response to the persecution he witnessed in Russia. It was probably the most influential Zionist work before Herzl would begin publishing 14 years later. Pinsker’s main argument was that the Jews, lacking a nation of their own, had no “center of gravity” to provide national dignity. They would never be accepted into European society, so they had to establish their own independent national homeland. The effect of his book was to wake up the Jews of Eastern Europe to their profound vulnerability. Pinsker put Zionism on the map, and between 1884 and his death in 1891, he built an effective grassroots organization around these Zionist ideas, propelling the movement forward to the next stage. Czar Alexander II (1818-1881): The reformist, yet autocratic, czar of Russia from 1855-1881, he instituted measures to improve the lives of Jews. He was assassinated in 1881, touching off a wave of repression against the Jewish community. Czar Alexander III (1845-1894): son and successor to Alexander II, he responded to his father’s murder with a severe crackdown on civil liberties, especially targeting the Jews. Leon Pinsker (1821-1891): a writer from the Ukraine, he penned the deeply influential Zionist book Auto-Emancipation, making him the first major Zionist leader, at least in Eastern Europe. Anti-Semitism was official policy in Czarist Russia. While Jewish life in Europe went through ups and downs over the millennia, the Jews in Russia in the 1800s led extremely proscribed lives. They were kept in abject poverty and severely restricted in terms of property, jobs, travel, education, even clothing. They were totally at the mercy of the local princes and petty officials. Jews suffered under the pogrom — violent riots that frequently targeted Jewish business for destruction, and led to outright murder. In response to this persecution, Jewish communities formed independent clubs known as the Chovevei Zion (Lovers of Zion). These clubs formed the beginnings of the Zionist Movement in Eastern Europe, pursuing social and cultural activities to instill national pride and hope amongst the Jews, and dedicated to the idea of a return of the Jewish People to their ancient homeland in Eretz Yisrael (the Land of Israel). They weren’t engaged in political activity but in small-scale efforts like teaching Hebrew and funding small agricultural communities in Palestine. Leon’s Pinsker’s book Auto Emancipation, published in 1882, laid out some of the early arguments of Zionism. Because the non-Jewish majority hated and feared the Jews, they would never be accepted into society. In order to preserve their lives and live as Jews, they needed to establish their own homeland in their own territory. Zionism, then, was an effort to ensure the survival of the Jewish people by re-establishing their ancient national homeland. Jews, hated as they were by Czarist Russia, made up only 1/24th of the population. Czar Alexander II sold Alaska to the United States for $7 million in 1867. The oppression of the Jews of Russia was so great that in 1891 President Benjamin Harrison wrote in his State of the Union address to Congress that the United States had lodged a formal complaint to the czar. Presidents Chester Arthur (in 1882), Grover Cleveland (in 1895), and Teddy Roosevelt (in 1904) also spoke out against Jewish repression in Russia. The Israeli national anthem, Hatikvah (“The Hope”), originated with the Chovevei Zion movement. It was written in 1877 by the Ukrainian Jew Naftali Herz Imber, and was back then known by the name Tikvateinu, which means “Our Hope”.